Evin prison physician who had examined the injured Sattar Beheshti (the blogger who died under torture while in custody) has been arrested and detained in the Intelligence Ministry’s Ward 209 in Evin prison. According to Kaleme site, Dr. Reza Pourhaydar, the Evin physician was the doctor on duty at the medical clinic in Evin on the day that Sattar Beheshti was taken there. According to prison’s regulations, every new prisoner arrived at the prison must be sent to the prison clinic for examination and a medical file is created for that prisoner. When Sattar Beheshti arrived at Evin, according to the regulations he was sent to the infirmary and was examined by Dr. Pourhaydar. His report of the examination indicated the signs of beatings and torture on Beheshti’s body. After this report was prepared by Dr. Pourhaydar he no longer was permitted to examine other Ward 350 political prisoners and was transferred to the ward for prisoners convicted on financial charges. 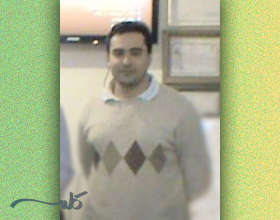 Dr. Pourhaydar was arrested last week and imprisoned in the Intelligence Ministry’s Ward 209 at Evin prison. Last week it was reported that an informed source in the case of Sattar Beheshti has said that the family of Sattar Beheshti have recently found out that the forensic report indicated bleeding of the lungs, liver, kidney and cerebellum. According to this informed source the coroner’s report that is included in Sattar’s file leaves no doubts that the cause of Sattar Beheshti’s death was due to internal bleeding and brain hemorrhaging. In September of last year, the coroner’s report claimed that Sattar Beheshti’s death was caused due to stress. At the same time, political prisoner Abolfazl Abedini, who was incarcerated in Ward 350 and had seen Sattar’s condition, was summoned to the special prosecutor’s office as a witness and interrogated and threatened to be exiled several times. Ultimately this threat was carried out and Abedini was exiled to Ahvaz Karoon prison. This form of confronting and dealing with witnesses has a long history. The most famous persecution and illegal actions against a witness was the case of Dr. Ramin Pourandarjani, the physician who had examined victims of the torture deaths in Kahrizak detention center prior to their death. This 26 year old physician died under suspicious circumstances at his place of work in November of 2009. Initially, the officials announced this young physician’s cause of death as a heart attack, then as suicide, and ultimately, the coroner’s office announced the cause of death as poisoning. Dr. Ramin Pourandarjani was buried without his family being allowed an autopsy. Sources close to Dr. Pournandarjani say that, prior to his death, he had disclosed details of the torture death of the Kahrizak detention center’s victims. According to these sources, Dr. Pournandarjani had testified as a witness before Parliament’s Special Committee members formed to deal with the status and situation of the victims of the post-election events. It seems that putting pressure on the witnesses and doctors is one of the methods that the intelligence officials resort to for escaping the crisis they create. The Intelligence and Judicial authorities, instead of prosecuting the people responsible for the torture death of Sattar Beheshti, have put on their agenda persecuting the people who exposed this crime, and arresting of Dr. Pourhaydar fits this agenda. The arrest of Dr. Pourhaydar has created much concerns for the other Evin prison physicians, that in the event they report on the torture of prisoners the same fate awaits them. 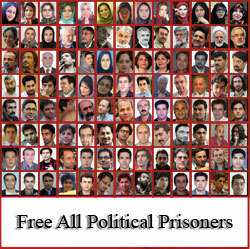 According to the political prisoners in Evin, Dr. Pourhaydar despite the existence of security atmosphere at Evin prison’s medical clinic had not forgotten his oath and despite the efforts by some of the clinic’s personnel to stop him from doing his job properly always provided care and treatment for the sick prisoners. After 250 days of limbo status in prison, on Saturday November 10, 2013, the Mahabad Revolutionary Court issued it’s ruling and sentenced Masoud and Khosro Kurdpour to imprisonment and forced exile. According to Khosro Khosravi, Masoud Kurdpour was sentenced to 3 years imprisonment on charges of assembly and collusion with intend to act against the national security, and sentenced to 6 months on charges of propaganda against the establishment for a total of 3 1/2 years imprisonment. Khosro Kurdpour, the managing director of Mukrian news agency, was sentenced to 5 years imprisonment on charges of assembly and collusion with intent to act against the national security, and 1 year imprisonment on charges of propaganda against the establishment. Khosravi also added that Khosro Kurdpour’s sentence includes 2 years forced living in Kerman, based on Article 23 of the Islamic Republic’s Penal Code to prohibit him from association with others, and 5 years imprisonment to be served in Tabriz prison due to security concerns in Mahabad prison. Osman Mozayen, another one of the Kurdpour brothers’ defense attorneys said, “During the trial no reference was made to the “Classified” documents referred to in the sentences issued by court, and the defendants and their attorneys were not aware of, nor were shown such documents. Therefore, sentences issued based on such documents are contrary to the principle of defending the defendants and a violation of their rights. Mozayen added, “The lower court’s justification for exiling Khosro Kurdpour to Tabriz prison lacks any prove of my client’s disturbing the security in Mahabad prison. Also we should not forget that exiling a prisoner causes pressure on, and also punishes the families and relatives of the defendant, which is inconsistent with the principle of only the defendant being punished.